Vietnam Work Permit is issued by the Department of Labor, Invalids and Social Affairs or the Management Board of Industrial Zone, processing and export area where the Enterprise’s (Employer’s) head-office is located, permitting foreign labors to work legally in Vietnam. Vietnam Work Permit offers the duration of 2 years in maximum. Criminal record from foreign country OR in Vietnam (If it is issued in foreign country, it will be required to get consular legalization and translate into Vietnamese. 7 working days from the date we submit documents to competent authority. 5 working days from the date we submit documents to competent authority. Order for re-issuance of Work Permit because of expiration must be submitted to competent authority at least from 5- 45 days before the work permit is expired. 03 working days from the date we submit documents to competent authority. 05 working days from the date we submit documents to competent authority. Applying for Vietnam Work Permit, Work Permit Exemption Certificate is a difficult, complicate procedure which takes a long time to process. Each paper required is issued by another authority. Normally, The Department of Labor, Invalids and Social Affairs or the Management Board of Industrial Zone, processing and export areas in all provinces have too many problems related to Labor, Invalids and Socials Affairs to solve, so it’s too difficult for them to give the detail answer for each question. 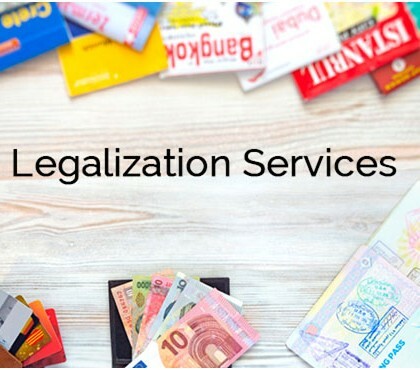 Thus, to avoid wasting time and process the application fast and simply, asking for help from a consulting agent – Vietnam-legal.com is the best solution for each situation. 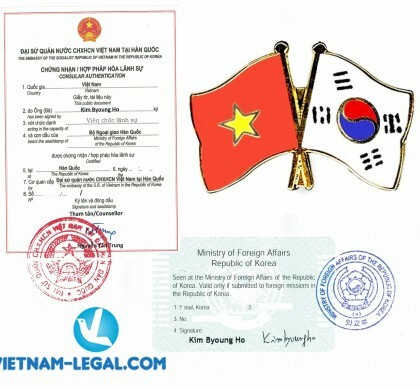 Vietnam-legal.com always explore, scrutinize all legal documents, policies of Government on foreign labor management, find out all features of each job position, business field of each employer, giving the best consulting and solution. With many years of experience in this field, we can find out and give solution for all problems in your application. We are confident that Vietnam-legal is your trust partner in Vietnam Work Permit Consulting. The Management Board of Industrial Zone, processing and export area where the Enterprise’s (Employer’s) head-office is located. What are documents required for Vietnam Work Permit? 1. Request for issuance of a work permit from the employer in accordance with regulations of the Ministry of Labor – Invalids and Social Affairs. 2. Health certificate or medical certificate issued by a competent foreign or Vietnamese health care agency or organization valid for 12 months from the date of signing to the application date. 3. Judicial record or written document confirming the foreign worker is not an offender or being prosecuted for criminal liability issued by the foreign country. If the foreign worker resides in Viet Nam, only judicial record issued Viet Nam is required. The judicial record or written document confirming the foreign worker is not an offender or being prosecuted for criminal liability must be issued within 06 months from the issuance date to the application date. d) Aircraft maintenance license by the competent authorities of Viet Nam for foreign workers working as aircraft maintenance. 5. 02 color photos (size 4cm x 6cm, white background, front, bareheaded, without sunglasses), taken within 06 months prior to the application date. 6. A certified copy of passport or valid papers or international travel documents in accordance with the law. g) Foreign worker stipulated under Point i, Clause 1 of Article 2 of this Decree engaging in activities of the foreign enterprise, which have established a commercial presence in Viet Nam, must provide proof that the foreign worker has engaged in activities of the foreign enterprise. What are features and benefits of Vietnam Work Permit? + Foreign national is not permitted to apply for Vietnam Work Permit by his/her own. Work Permit will be issued under your employers’ guarantee. + Vietnam Work Permit is issued to all foreign labors working in Vietnam and supplying all documents required to apply for Work Permit. + The duration of a work permit shall not exceed 02 years. It is one of the most important conditions for foreign labors to obtain a long-term visa or 1-2 year temporary residence card. + Reissuance of Work Permit will be allowed if the employer and employee continue to work together. Who are employers of foreign workers? m) Business households and individuals permitted to do business in accordance with the law. 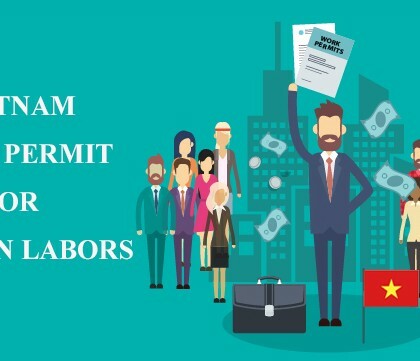 Who are exempted from Vietnam Work Permit? + As contributing member, or owners of limited liability company. + As a Head of Representative Office, project of international organization, non-governmental organizations in Vietnam. + Coming to Vietnam with a period of less than 03 months to handle the problem, technical situation and complex technology arising that affect or threaten to affect the production and business that the Vietnamese and foreign experts currently in Vietnam cannot be handled. + Under the provisions of international agreement in which the Socialist Republic of Vietnam is a member. l) Other cases decided by the Prime Minister at the proposal of the Ministry of Labor – Invalids and Social Affairs. What are conditions for issuance of Vietnam Work Permit? What is “Expert” according to Decree no. 11/2016/ ND-CP? According to Decree no. 102/2013/ND-CP, Specialist means a foreign worker who is recognized by a foreign country as specialist or who possesses an engineer, bachelor or equivalent or higher degree and has worked for at least 5 years in his/her trained discipline. + When the said employee is in possession of a written document that verifies their position as a specialist of an office, organization or enterprise overseas. + When the said employee has a minimum of a university degree or a certificate of equivalent value, and no less than three years’ experience working in a specialized field appropriate to his or her expected position in Viet Nam. Other special cases shall be examined and decided by the Prime Minister. What are “Manager and CEO” according to Decree No. 11/2016/ND-CP? + A chief executive officer (CEO) is the leader who directly manages subordinate units of an office, organization or enterprise. What should you do if your application for Work Permit is refused? Nowadays, the proportion of unskilled foreign labors is increasing more and more. Therefore, Vietnam Government sets the stringent standards to decrease the number of unskilled foreign labors and those who do not have clear criminal record, promoting all companies in Vietnam to take advantage of Vietnamese labors. This is reason for many Vietnam Work Permit refusals. The Department of Labor, Invalids and Social Affairs or the Management Board of Industrial Zone, processing and export area where the Enterprise’s (Employer’s) head-office is located will refuse in some case such as your company employs the number of foreign labors exceed the permitted rate, the job position is not matched to your business fields or foreign labors cannot meet the professional qualifications or experience required for the position. Even the cases that employers of foreign workers violated regulations on using and managing labors will be refused. Refusal does not mean that employers cannot apply for Vietnam Work Permit again. We need to review the reason of refusal given in the replying letter from The Department of Labor, Invalids and Social Affairs or the Management Board of Industrial Zone, processing and export area. We should follow their suggestion and give solution for each problem with application. Each document offer the duration of 6 months, except for Health Check (valid to 12 months) thus you should take this time to prepare carefully dossiers to obtain Vietnam Work Permit timely.